Children needing help and protection in Bradford are made to wait while others are “subject to unnecessary and disproportionate social work processes,” Ofsted has said in an ‘inadequate’ judgment of the council’s children’s services. Inspectors who visited the West Yorkshire authority last month found services had “rapidly deteriorated” over the past 12 months, with “serious failures in social work practice” leaving children at risk of significant harm. At the council’s last full inspection in 2014 it was judged to require improvement, with some ‘good’ elements. Ofsted’s report said the departure of a “significant number” of experienced social workers at a time of rising demand had played a big part in Bradford’s decline, with inconsistent practice identified in many areas. The council’s fostering service, described by an internal report as being in danger of “breakdown” after cuts were announced last year, also continued to face problems. While inspectors acknowledged senior leaders’ efforts to turn services round, they said there was “insufficient prioritisation being given to ensuring that children’s lived experiences were at the centre of service improvements”. Most of the biggest issues uncovered by Ofsted were within Bradford’s help and protection services, which were judged ‘inadequate’. Inspectors found that while the council’s multi-agency safeguarding hub (MASH) benefited from a “sizeable” commitment of internal and partnership resources, it remained ineffective with too many children’s cases closed or stepped down to early help. They added that all contacts were subject to an “extensive” duty social work review, contravening national guidelines in some cases because consent had not been agreed in the absence of child protection concerns. Inspectors said delays in assessments and decision-making hindered children’s access to timely help. Some children on child protection plans were not seen by social workers when they should be, causing cases to drift and “limiting their ability to form stable and trusting relationships… [impacting] on the timeliness of direct work”. Conversely, other children were taken off plans before their needs had been addressed or situations had improved. Inspectors recorded pockets of good work, with Bradford’s multi-agency child sexual exploitation hub “ensuring a thorough analysis of risk through daily meetings [with work] underpinned by solid information-sharing [and] detailed research”. But other groups of young people, for instance homeless 16- and 17-year-olds, were poorly catered for. “[They] are not assessed by social workers to ensure their full needs are identified or that they are appropriately supported, or to ensure protective action is taken,” inspectors said. Services for looked-after children in Bradford were graded ‘requires improvement’, with inspectors acknowledging that senior managers were addressing some issues, for instance by investing in edge-of-care services. Despite inconsistencies, Ofsted’s report observed that “most children in care benefit well from the support of social workers”. Fostering, however, which the council’s own 2017 review said could face “breakdown within two years” because of an “excessive” decline in carer recruitment, was identified as an area of concern. Ofsted said the council’s efforts to secure placements close to children’s home areas had in some cases been undermined by poor assessments and decision-making that led to placement breakdown. A lack of local sufficiency was resulting in children winding up in placements that did not meet their needs, causing them “further instability”. Shortly before the inspection report was published, Jane Collins, vice-chair of the IWGB Foster Carers Union, told Community Care that ongoing concerns about Bradford’s fostering service had been raised to Ofsted by a number of whistleblowers. Collins said these included newly approved foster carers being left without a supervising social worker for months, resulting in them transferring away from the council to independent fostering agencies, and two children in foster care being taken out of school and away from their carers when no allegations had been made. Notes made by a union representative at a mid-October staff briefing held to discuss the inspection results quoted Bradford’s chief executive Kersten England as saying she had interviewed whistleblowers and “based upon my report, Ofsted shut the concerns down”. But in an email sent over the weekend (27-28th October), seen by Community Care, England said issues were still “being thoroughly reviewed”. On Tuesday Philip Davies, the Conservative MP for Shipley, said he would be taking up with Ofsted the concerns around whistleblowers’ reports. 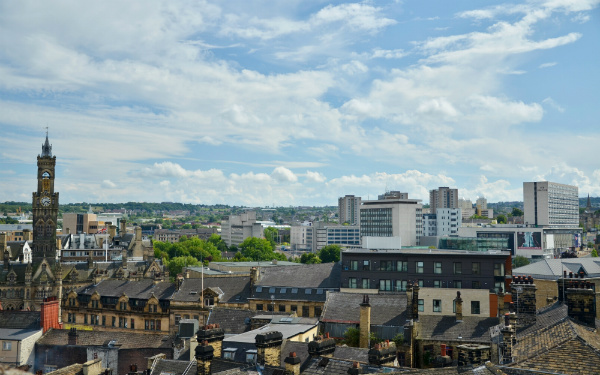 In a statement to Community Care, a spokesperson for Bradford council said that the authority had recruited 72 extra foster carers in the past year and noted positive comments by Ofsted regarding efforts to turn the service round. The spokesperson said that some of Ofsted’s criticisms, for instance around the MASH, had come as a surprise, and that procedures were being reviewed in a number of areas, including to address the concerns around consent and compliance with guidance. They added that a new annual investment of £450,000 had been made to deal with recruitment problems, which had been exacerbated by neighbouring councils offering higher salaries. “Our children deserve better and we are determined to tackle the issues the inspectors identified quickly and sustainably,” the spokesperson said. “We have immediately invested in additional external audit capacity, extended the work of practice supervisors and scheduled a rolling programme of performance clinics. We are increasing the number of team managers and have reviewed the operation of the MASH and have strengthened its management. The complacency, and in many cases, mendacity of senior management is, quite frankly, breathtaking. “72 new foster carers recruited” actually if you check the figures given to the Scrutiny Committee they only recruited 19..yes 19…senior management at Bradford Council need sacking they are a disgrace. It’s appalling that the Leadership of Children Social Care have not yet resigned with a massive apology to the tax payers for their incompetence! They can no longer run the Service! Shocking.. hundreds and thousands of pounds in tax payers money in salaries for an incompetent work force and equally dire leadership group! Bradford Social Care needs to be taken over by outstanding LAs like Leeds/North Yorkshire to keep children safe in our City. What shambles despite additional money being thrown at agency Managers.. Bradford has become the new cash cow for Agency staff at all levels.. where is this money coming from when Parks, libraries and job cuts elsewhere. When will the elected Councillors intervene and deal with this calamity? ?